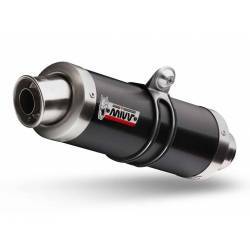 We offer you our best selection of MIVV exhaust pipes for your motorcycle, new, without using, and with the best discounts. These exhausts are not used and we sell them with full guarantee. Our company is a MIVV official dealer with 3 distribution points in the Valencia province, so we know widely all of its products and we are too a reference point on Manufacturer guarantee processing. 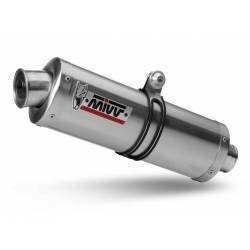 The MIVV exhaust pipes that we have in the website are completely new and unused, sealed and with all the accessories and components. If you have any doubt about which MIVV pipe will fit your motorcycle, assembly instructions, performance or homologation, please contact us. 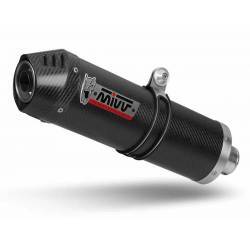 We are gradually uploading the whole MIVV catalog in our website, so if you can't find your motorcycle's model you can contact us. 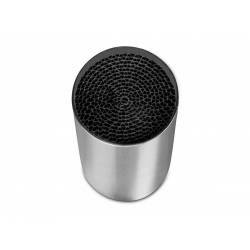 SUONO, available in titanium, stainless Black and stainless steel, they are characterized by its material lightness, having 2 carbon end caps and fastening clip made of the same material, also equipping a removable dB-killer. The Suono Titanio is the lighter of them all. GHIBLI, offered in AISI 304 stainless steel, ideal for sports and naked motorbikes. 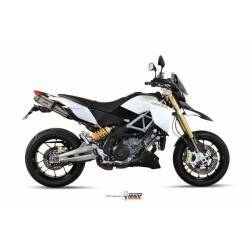 It was made to ensure maximum aesthetic harmony on the motorbike on which it is installed. 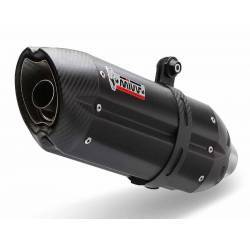 GP, available in titanium, carbon and black steel, it is a compact exhaust with a more racing look. The silencer is round, with removable dB-killer and widened end spouts. 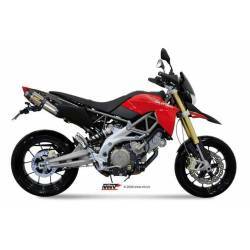 Its homologation depends on the motorcycle model. OVAL, offered in different materials, it is perfectly suited to all types of motorbikes thanks to its oval shape. All models feature a removable dB-killer. M2,one of the smallest and lighter pipes, it is made in stainless steel. 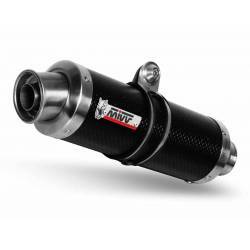 M2 exhaust has brushed or satin finish as well as a removable dB-killer. DOUBLE GUN, it shows a certain similarity with a rifle and features very elegant TIG finished welds. 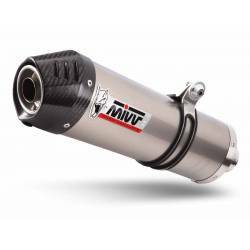 The exhaust is made of titanium, combines craftsmanship and uniqueness and has a removable dB-killer. X-CONE, is one of the longest Mivv exhaust pipes, with a vintage touch that reminds of Mivv's first pipes. It comes in stainless steel and it's offered in two versions: X-Cone and X-Cone Plus. SPEED EDGE, one of the most standard exhaust pipes, it has a hexagon design. The end cap and the securing bracket are made of carbon and it is equipped with a removable dB-killer. FULL SYSTEM, represents the maximum expression of Mivv technology. There are two versions: Evo, designed for competition and made of grade 1 titanium, and Steel, which is similar to the Evo one, but made of 1 mm thick stainless steel.